PRESTIGE FRIDAY on March 29, 2019: Get extra 10% OFF on all* items, whole day, with your SM Prestige / BDO Rewards Diamond card. 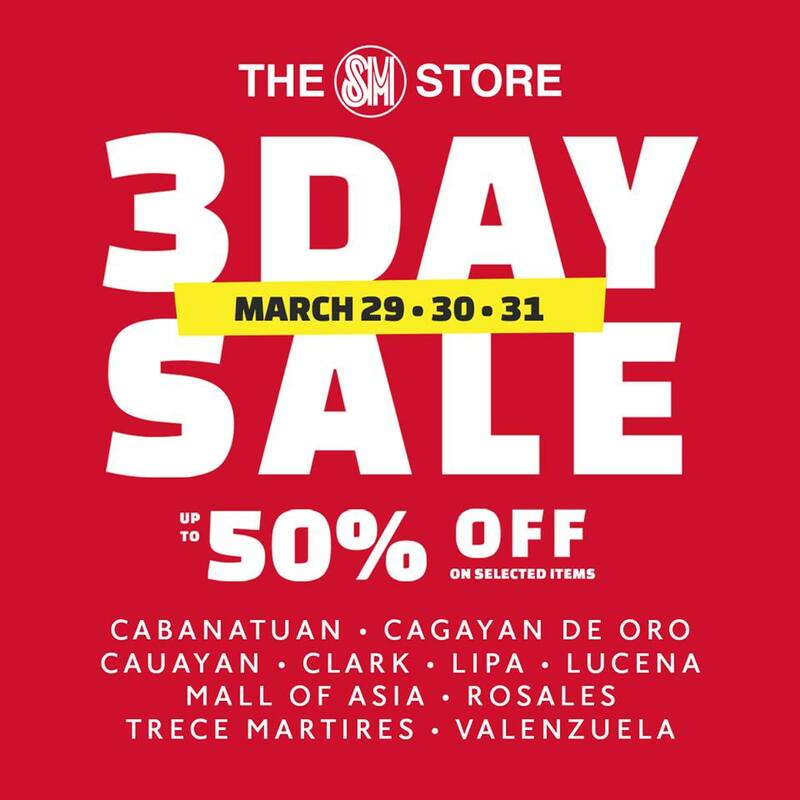 SMAC SATURDAY on March 30, 2019: Enjoy extra 10% OFF on all* items, from store opening until 12nn, with your SM Advantage / SM Prestige cards. Offer is extended to BDO Rewards / Mom / Primo / Love Your Body / SSI cardholders. SMAC SUNDAY SPECIAL on March 31, 2019: Extra 10% OFF on all* items, 5pm to 7pm, with your SM Advantage / SM Prestige cards. Offer is extended to BDO Rewards / Mom / Primo / Love Your Body / SSI cardholders.